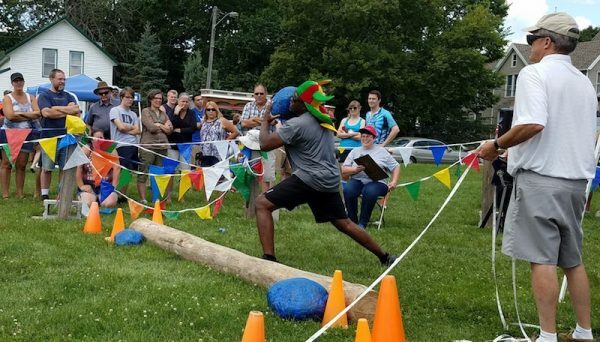 Nordic Fest is an amazing opportunity to try some Nordic sports, such as Mölkke and Kubb, and participate in the annual Elveløpet race along the Upper Iowa River. Will you be the next Ultimate Norseman? Be sure to check the schedule for complete listings. Athletics play an important role in the Scandinavian cultures. Strength, stamina and a strong stomach are all traits of the Norse. 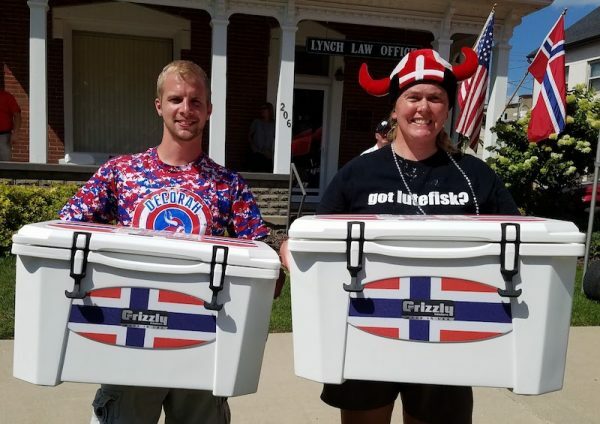 Festers who participate in the three Saturday events of the Elveløpet 5K or 15K run, Nordic Rock Throw, and the famed Lutefisk eating contest will have their results combined to face off with other Ultimate Norsemen! Please register during packet pick-up for the Elvelopet and wear your bib number to all events. Mölkky is a yard game that involves throwing a wooden baton at pins to accumulate points. The rules of the game are simple and anyone of any ability or age can play. Finland has a large Mölkky following with many clubs and tournaments, along with the world championships. Tournament starts at 4 p.m. and is open to anyone from ages 8 to 80. 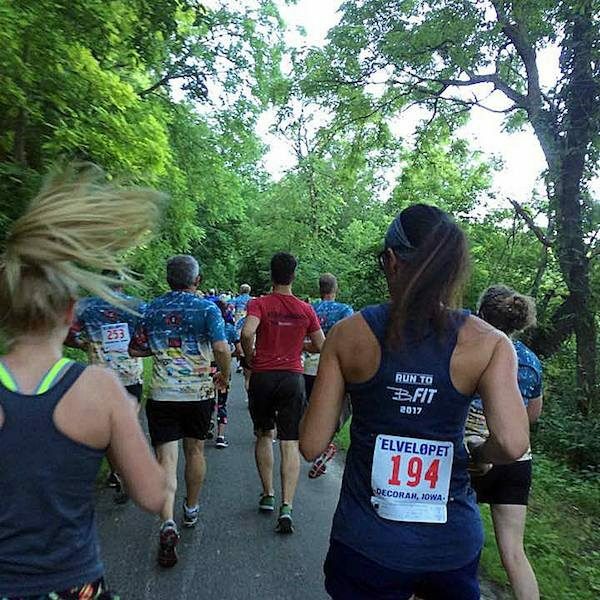 Decorah’s “River Run” race course along the Upper Iowa River and surrounding area highlights the natural beauty that Northeast Iowa has to offer. Hydration stations are provided along the course with fruit and drinks available at the finish line. Online registration ends on Thursday, July 25. Final registration accepted Friday 10am–5pm at the Decorah Chamber of Commerce and 6pm–8pm at Decorah City Hall, and Saturday 6am–7am at the Beverage Garden tent. 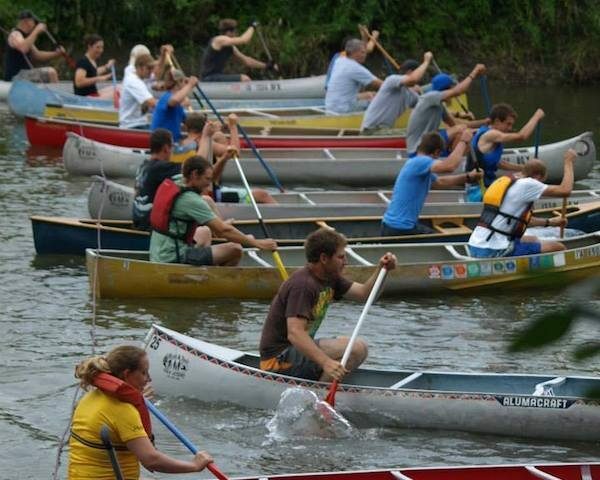 The Kanoløpet is a canoe race from OFF The Driftless to the Twin Bridges located on 5th Street. The race will have two canoe divisions determined by the combined ages of the participants in each canoe (2/canoe max) and a third division for kayaks. Canoe teams with a combined age of 35 and under will be in the youth division, while 36 and up will compete in the adult division. The first canoe to pass under the Twin Bridges will be declared the winner. Cost is $30 per person and includes canoe rental, life jackets, and paddles. Those who provide their own canoe may enter for $20 per person. There are three weight classes for men (50 lb. rock for up to 160 lbs. ; 75 lb. rock for 161-210 lbs. ; 100 lb. rock for over 210 lbs.) and 1 weight class for women (50 lb. rock for all weights). Must be at least 18 years of age. Entry fee: $2.00. 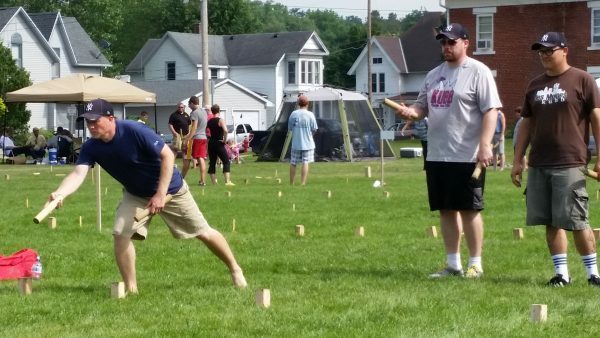 Kubb is a lawn game where the object is to knock over wooden blocks, known as kubbs, by throwing wooden batons at them. Play takes place on a small rectangular playing field, known as a pitch. Kubbs are placed at both ends of the pitch, and the king, a larger wooden block, is placed in the middle of the pitch. Some rules vary from country to country and from region to region, but the ultimate object of the game is to knock over the kubbs on the opposing side of the pitch, and then to knock over the king, before the opponent does. Tournament is open to all ages. Registration on site 10am–1pm, No entry fee, play begins at 1:30. Come watch the Driftless Dodgers put on an exhibition of vintage baseball. The game is a blast from the past, featuring teams playing by the rules of 1860 and wearing uniforms from the time period. Among the different rules are a ball caught off one bounce is an out, the pitcher doesn’t try to throw strikes, no leading off the base and balls hit over the fence (home runs in modern rules) can be retrieved for an out. 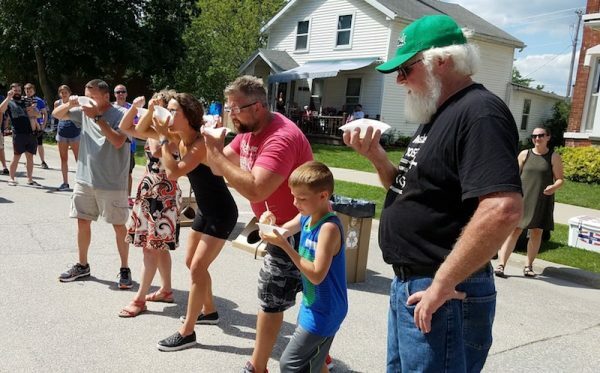 Put your lutefisk eating skills to the test in this competition. No registration or fee, just show up ready to down that lutefisk!